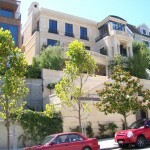 The Broadway Residence in San Francisco, California was commissioned by a family who had purchased the largest of three lots that became available in the very exclusive area of Pacific Heights. The design was to be very traditional and be comprised of all natural materials. 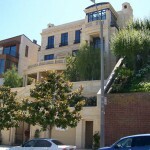 This concept included 100 percent of the exterior to be stone cladding and solid bronze windows. 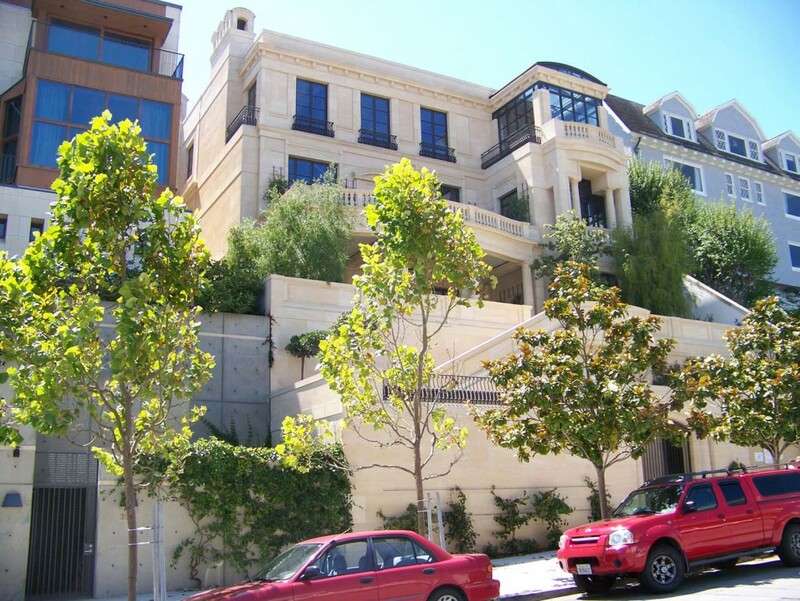 Charles T. Young utilized the steep grade of the property and the lot location to ensure ideal views including, unobstructed views of Alcatraz and the Golden Gate Bridge. The residence and guesthouse will provide 18,000 square feet of living space. The large scale and seismic requirements of the property is evident by the use of large structural steel members to create the skeleton of the building, much like large commercial projects. The key design challenge with the limestone that was selected was the soft nature of the material. This would mean smaller pieces than with harder more dense material and for the main chimney 40 pieces to complete the flu area alone. 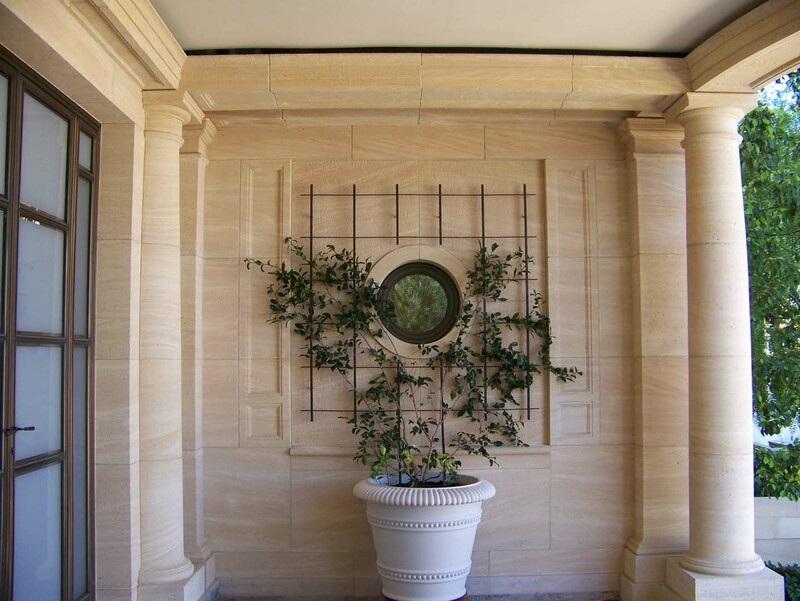 The final stone design would consist of waterproofed plywood substrate with mechanically anchored stone ranging in thickness from 1 3/16” to 4” thick. 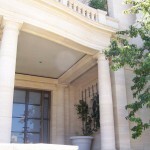 The final quantity of stone parts to complete the exterior skin would require 5,500 individual pieces of stone. 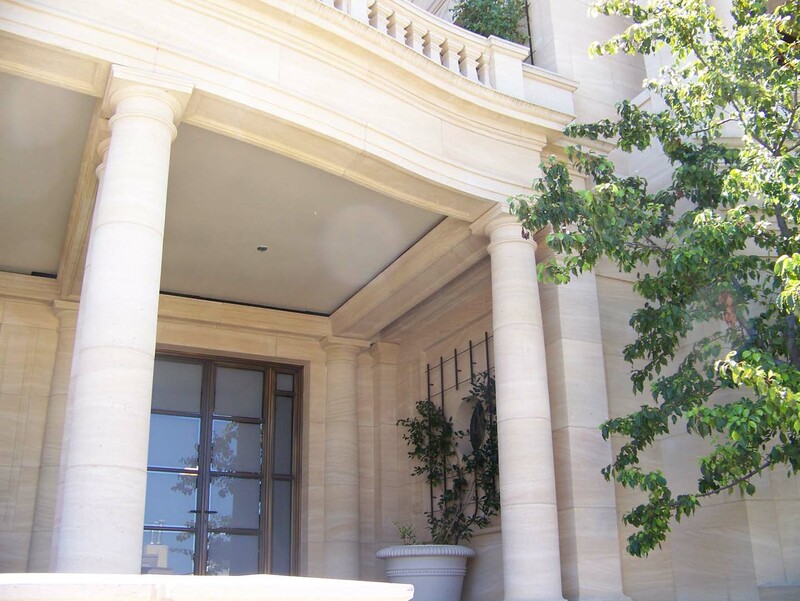 The secondary water control that was accepted utilized state of the art materials in conjunction with fabrication and installation techniques that were a first for Columbia Stone. The final installation provided a cutter and flashing that will evacuate the stone cavity of any condensation or moisture that may build up. The sealant joints for the exterior were sanded while the silicone material was still wet. This technique provides for the long pliable life of silicon with the appearance of grout. 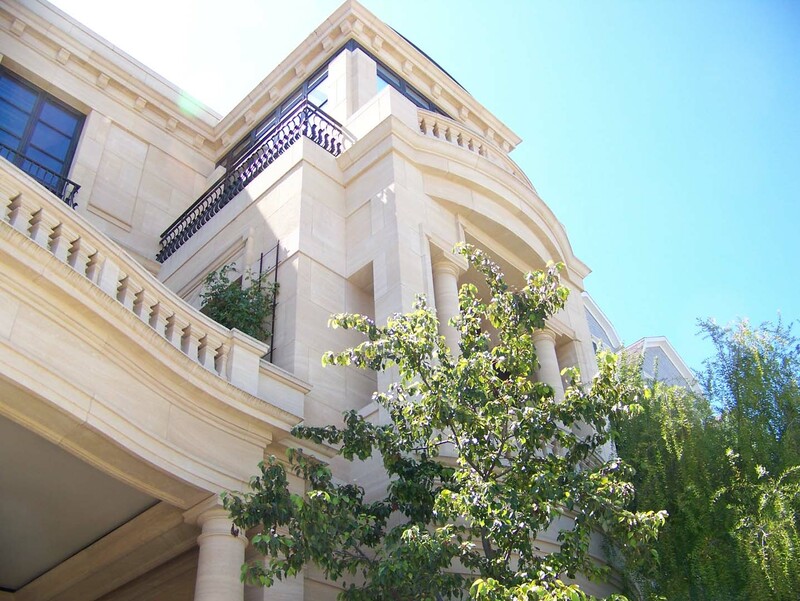 The installation of this project was so successful it has created numerous opportunities for Columbia Stone to work on other high-end residences. 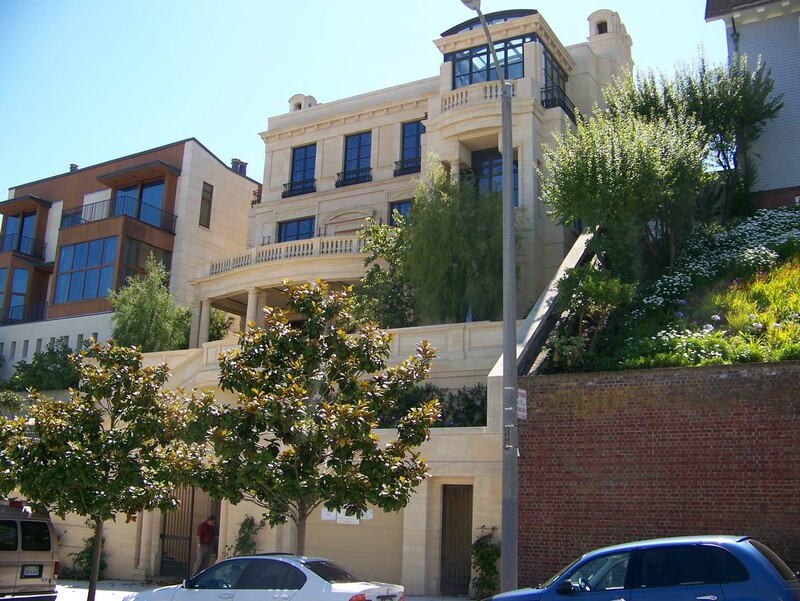 The project presented numerous challenges, an extremely tight project site, a home under construction right next door, a very exclusive neighborhood of San Francisco, and the changing of an owner. 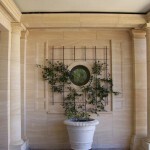 The project took more than five years to complete from award of contract to the final stone pieces being set. The final product is one that does add to the neighborhood as well as stand out while surrounded by other fabulous homes, some over 100 years old. This entry was posted in Residential on October 1, 2014 .